When you decide to bring a reborn baby to life, how does that process work for you? Do you have it all planned out in your head before you start? Or do you just go where the creation takes you, allowing your creative side to flow? If you have to order products in the complete the baby, have you ever then changed your mind once you have the new item with the baby? For the buyer, have you ever changed your mind on what you thought you wanted your baby to look like in the beginning and then how you feel as you see work in progress pictures. 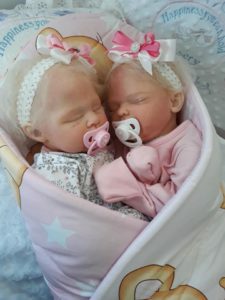 I have often wondered just how different the mental side of creating the perfect reborn baby is for reborn artists and collectors.